Harmonies produced through combinations of phrases that are easy to sing highlighted by performances by solists, will be brought together by Torus Vil. 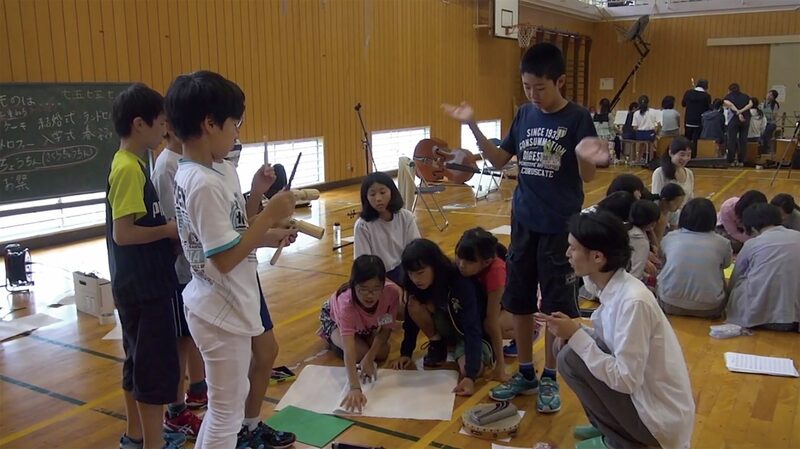 led by Kimiya SATO, will be held multiple times comprising the ensemble performance that anyone can participate in. The workshop for those who express their desire to participate in advance. The performance on the day will resemble flash mobbing, with no fixed stage but rather, the singing begins at various locations throughout the park and gathering strength to create the resonance. The overall ensemble is led by artists and workshop participants, while passersby are invited to participate in the spur of the moment by looking at the score distributed at the venue, or become part of the audiences.